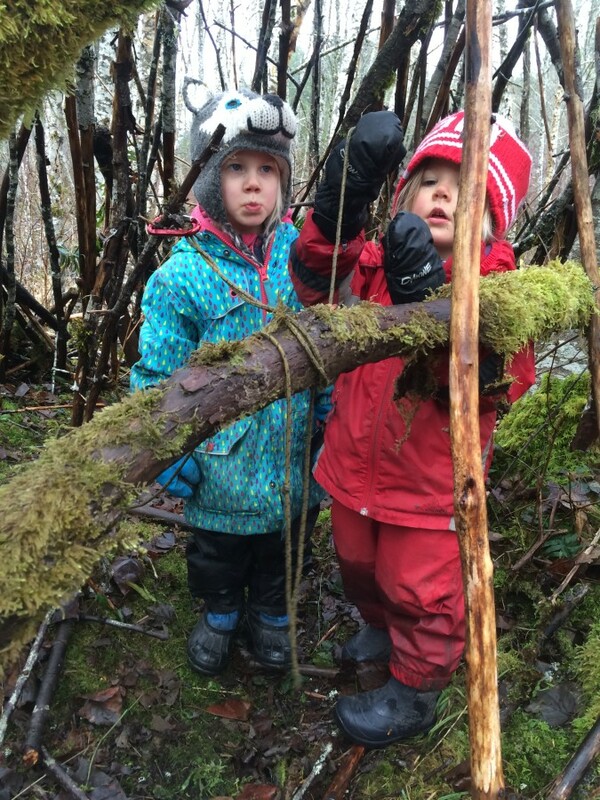 February began and we noticed a shift in the air – a shift away from winter and towards spring! Although there is sure to be more cold, rainy days ahead of us, we have noticed that we are warmer, need fewer layers, and haven’t used the hot water hand warmers nearly as much (some days not at all). One day we even had to stop so everyone could take off a layer! Springtime can be a tricky time to dress for – the mornings are still cool, and it can be quite wet, so layers are more important than ever to avoid over-heating when the temperature rises. 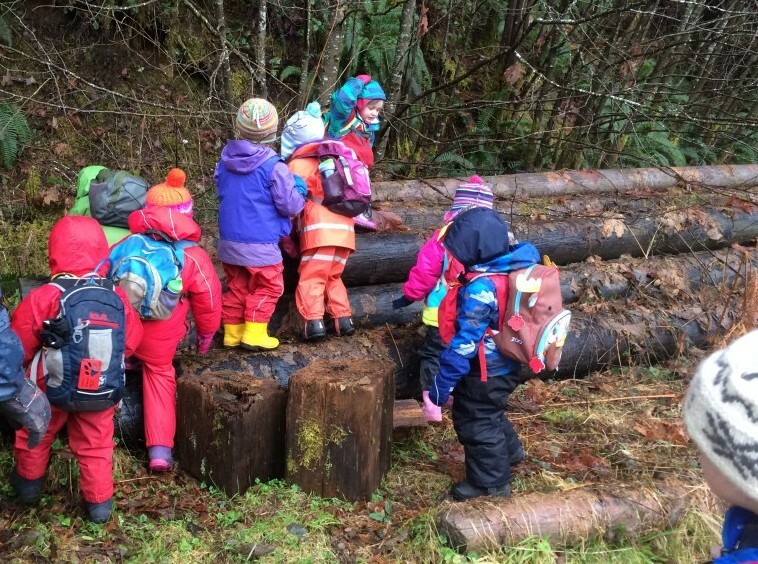 As our group has grown quite close, we have given the children much more say in where we are going each day, often voting between two choices, and have literally let the group take the lead when travelling to classrooms. On a few occasions now, we have strayed from the beaten path to “explore” something that has caught the group’s eyes. 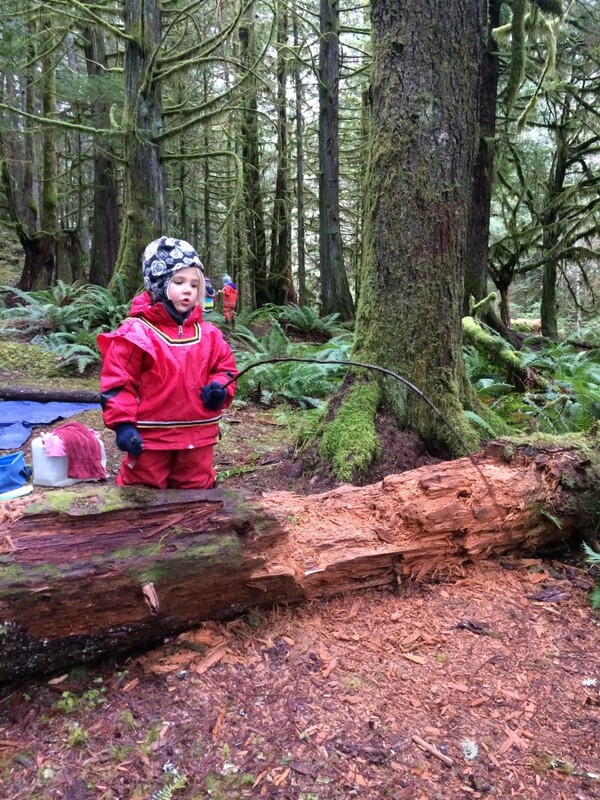 This pile of logs caught the attention of the class and so we took time to check it out. 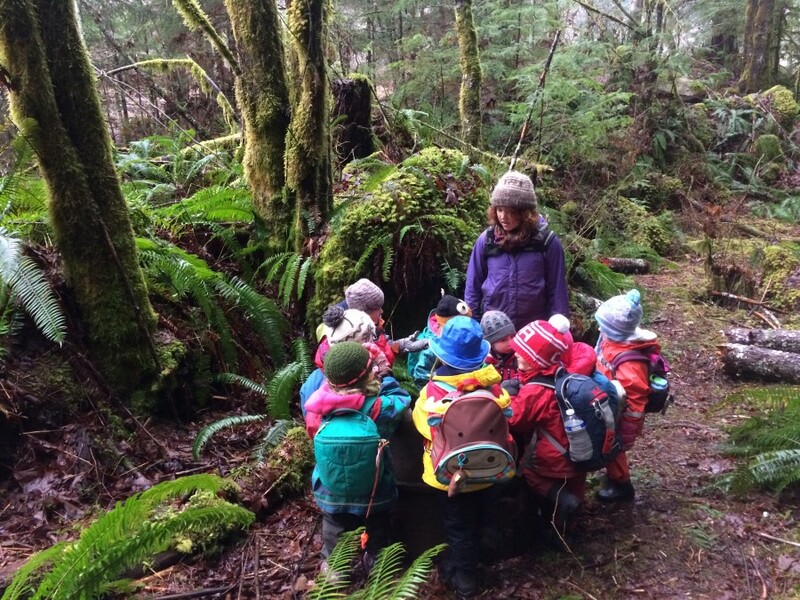 From here, half of the children continued to the classroom via a new route, while the other half found another new route to explore. 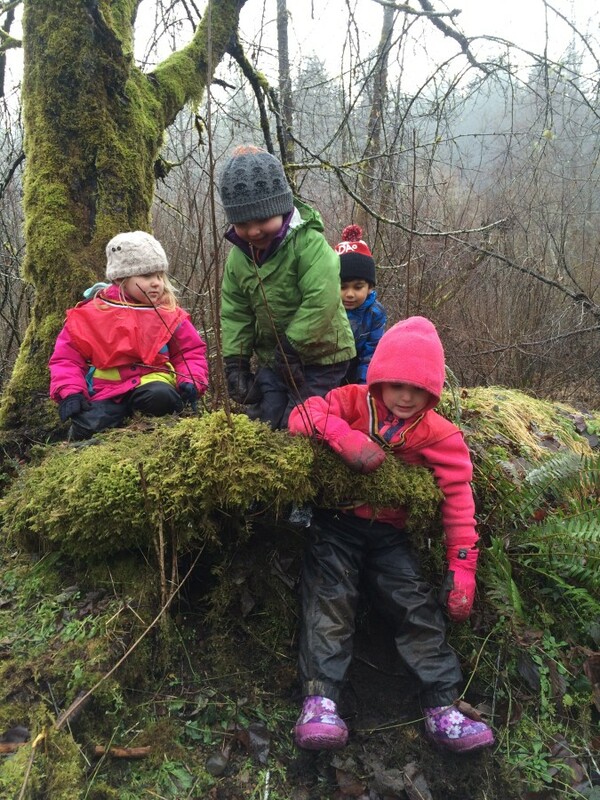 We never know what we will find on our explorations. The children have endless ideas about where the objects came from and what they were used for. 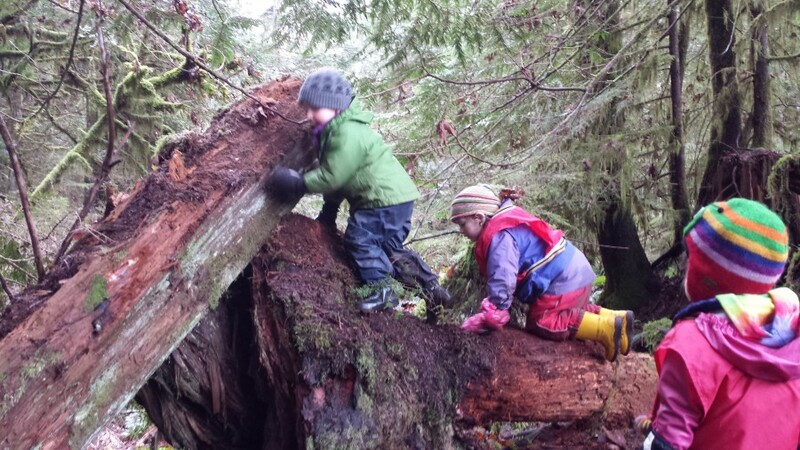 Although slightly blurry, this photo captures some of the physical development that happens in our classrooms. Testing limits and pushing minds and bodies to rise to new challenges are worth the minimal risk climbing such as this holds. 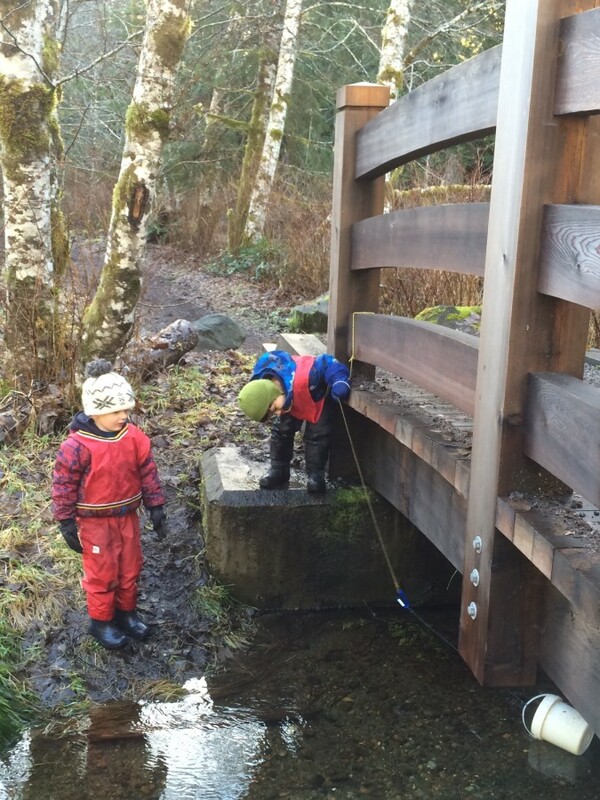 Imaginative play continues to develop as well – many situations are played out, but one that we often return to is fishing. Maeve discovered this “chair” and it was quickly incorporated into imaginative play – here it is a baby seat, and the other children are different members of a loving family. 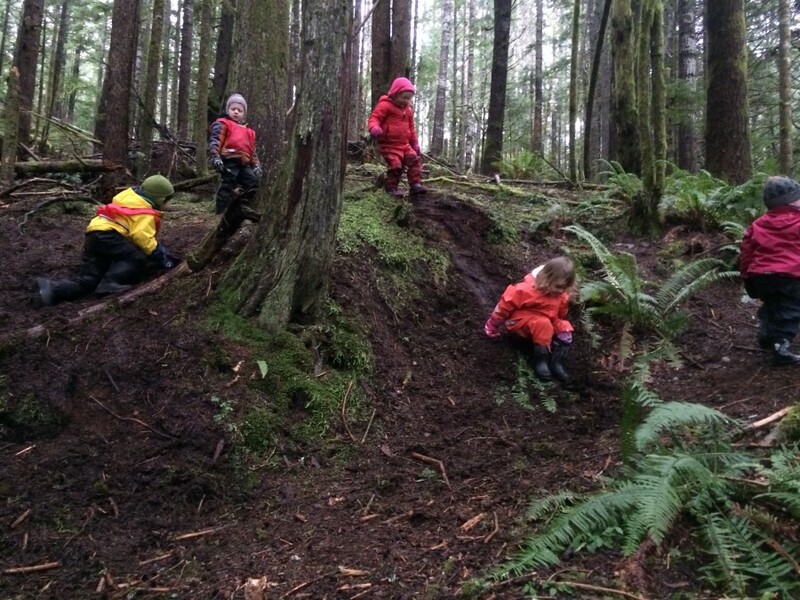 The class built this remarkable fort almost completely by themselves. It is very spacious and home to much dramatic play. Here Gemma is tying up the Christmas tree so robbers cannot come and take it away. 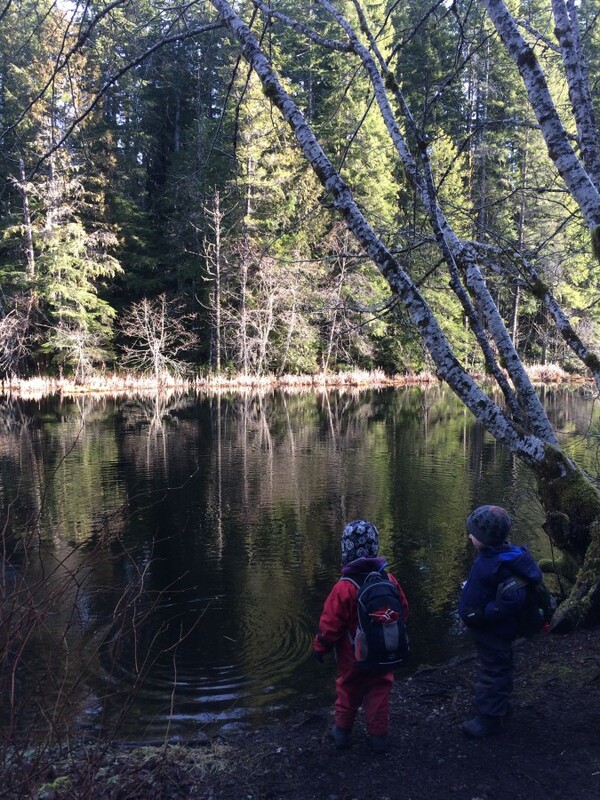 Nature continues to provide us with so many learning opportunities – the water was so still that the reflection of the forest was remarkable. Then the children enjoyed making ripples by throwing sticks into the water. We watched as the ripples travelled to the other side of the marsh, then wondered where the reflection had gone. 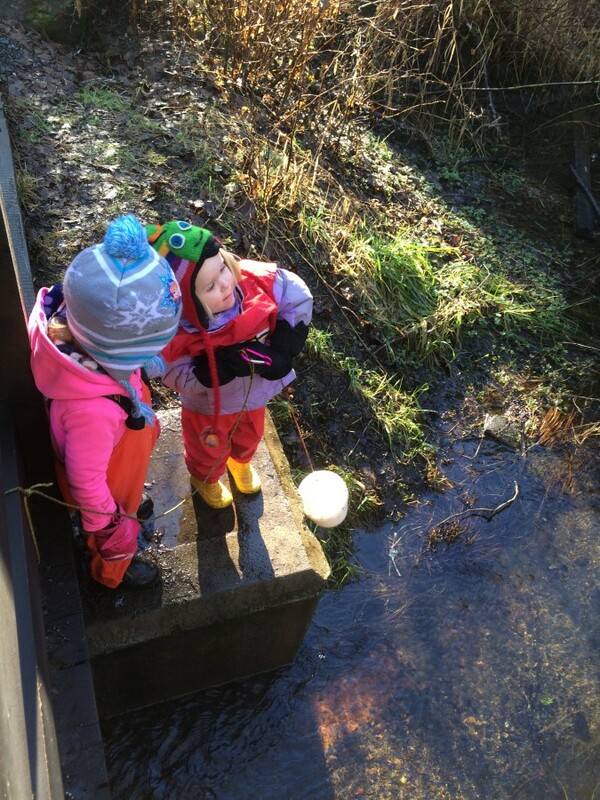 Exploring moving water with buckets secured to the bridge with rope. Hauling the water up was heavy work, and learning the hand-over-hand method required was tricky too! 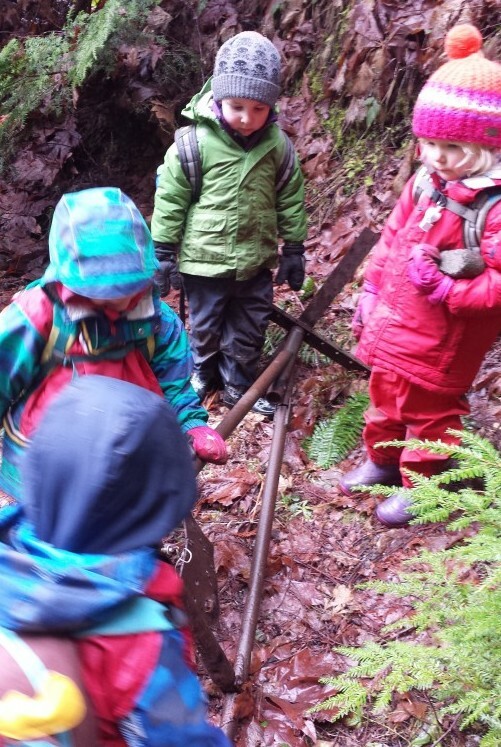 Exploring another “artifact” found in the forest. Is it a wheel? A tub? A rocket?